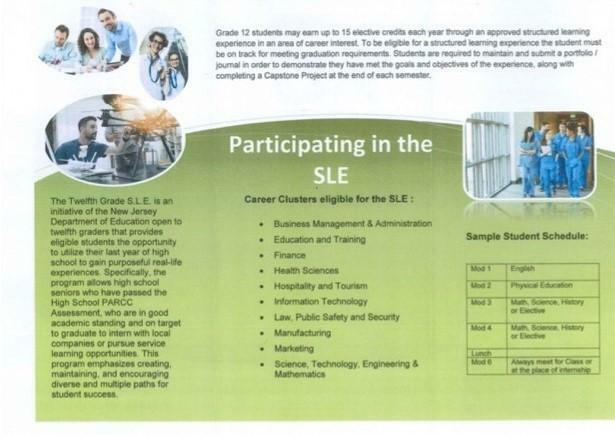 Students from the Structured Learning Experience have an opportunity to explore career internships, career exploration and real life experiences in the community. 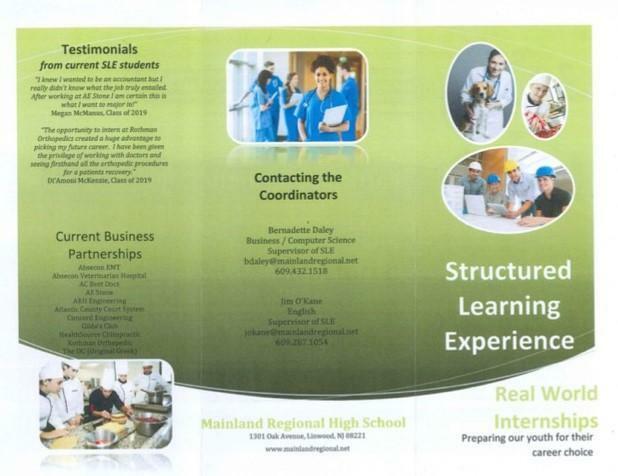 Students will work with the Structured Learning Experience Coordinator to implement a personalized career experience. These experience may include, but are not limited to, workplace internships, paid work opportunities, job shadowing, and volunteer experiences. Please see your Counselor for details.